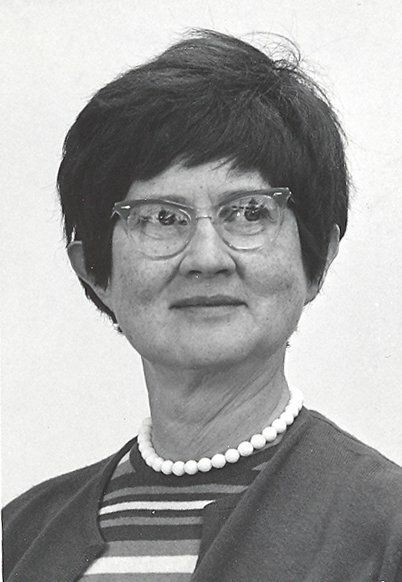 Seraphia Angela Walsh was born on Nov. 4, 1913 the first child of Anna Loretto Walsh, neé Cannon, and James Edward Walsh Jr., in Pontiac, Illinois. 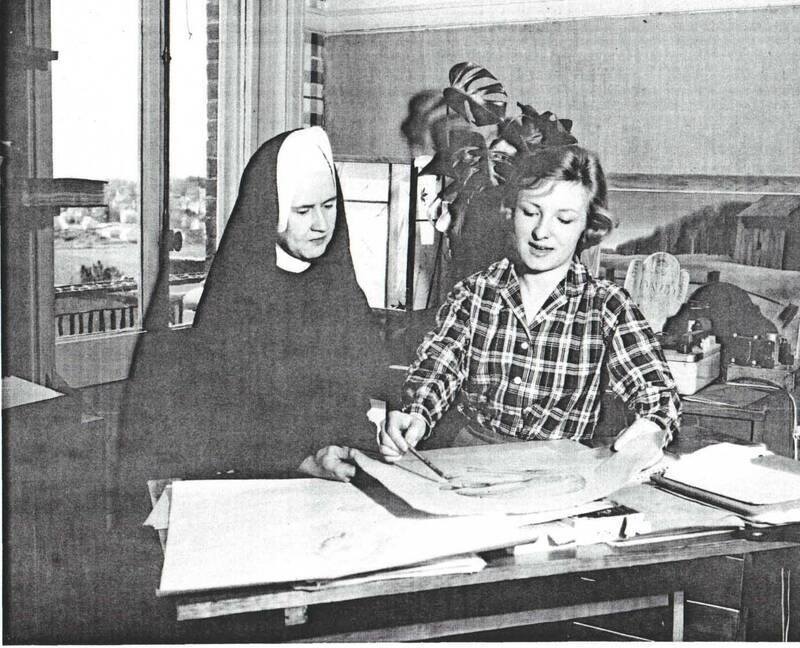 Her mother (my grandmother) was a devout Catholic – the middle name Loretto (with an “o”), is the name of an order of nuns. The family was fairly well-to-do, and later moved to Chicago, Ill. (Evanston, actually) where they lived when the stock market crash occurred in 1929. Faculty picture courtesy of West Valley Com. College, Saratoga, Ca. 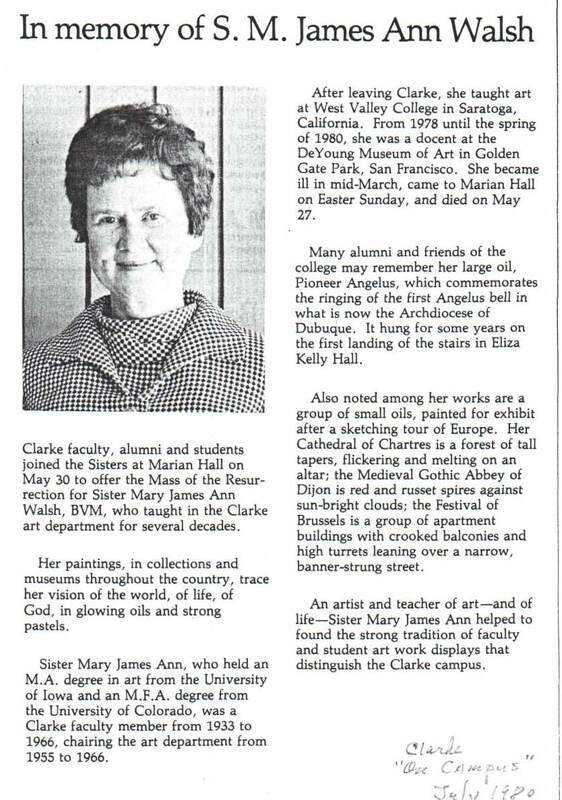 In 1933, records show she began teaching at Clarke College, a private Catholic institution for girls. She received her B.A. at Clarke, but records do not indicate her major. At some point in time, she earned a Master of Arts at University of Iowa (SUI). Update: I found a copy of her Ann_Walsh_Curriculum_Vitae! In 1967 or 1968, we met my aunt in NYC. I believe she was making a connection at JFK to head to Europe and we met her for a brief visit. I vividly recall that when my mother saw her enter the concourse, my mother broke down in tears. It was the first time since being a little girl at the age of 5, that she saw her sister’s hair! “Oh my God, you are mom,” my mother exclaimed. My aunt was wearing a conservative blue suit, but exhibited a full head of curly, auburn hair. No more black and white – I too was amazed at the change! From the two photographs my mother had of my grandmother, I had to agree, my aunt (we called her “sister”) did favor my grandmother while my mother more closely resembled her father. My mother and her sister did not strongly resemble each other. In 1978, my aunt visited Delaware for a family wedding. Below is the last picture we have of her. She flew out from San Francisco to attend. We didn’t see her again until she fell ill in 1980. My mother and I flew out to see her in Dubuque at the Marian Hall infirmary, over the Easter break in 1980. We knew she was terminal. We had a nice, short visit- as the emotional strain was very hard on my mother and her sister. Not long after we returned to Delaware, we learned she had passed away. We later heard after the funeral that very few of her personal belongings remained behind in the residence she shared with two or three other sisters. Only a few pair of sensible shoes shared the closet with some neatly hung outfits. Her closet was not packed with “things.” A small, modest black and white television rested on a table. We realized that many of the gifts we had given her over the years, and nowhere to be found, were repurposed- given to others who needed them more, in keeping with her vows of modesty and simplicity. I think we always knew where our birthday and Christmas presents ended up! She owned very little. But my aunt possessed a faith-based mission and an aesthetic and spiritual purpose that she both held onto privately and openly shared. She left this world richer than we could ever imagine, and she bequeathed to us a legacy of love and respect! I somehow inherited five oil paintings on skeleton pipal tree leaves. On one only is written: With love to, Sr Nancy(my aunt) and then Sr. Mary James Manthra? Could this be your aunt? My Aunt Nancy is a catholic nun of the French order ‘les filles de Jesus’. She is still living and is 96 years old. She had a sibling, my aunt Genevieve, who worked as a nurse in California and married a gentleman from Sacramento where she lived until until she died in 1973-1974. I always thought these were given to my Aunt Nancy from her sister who traveled to often to Asia and the Caribean. Did you aunt ever produce such art?